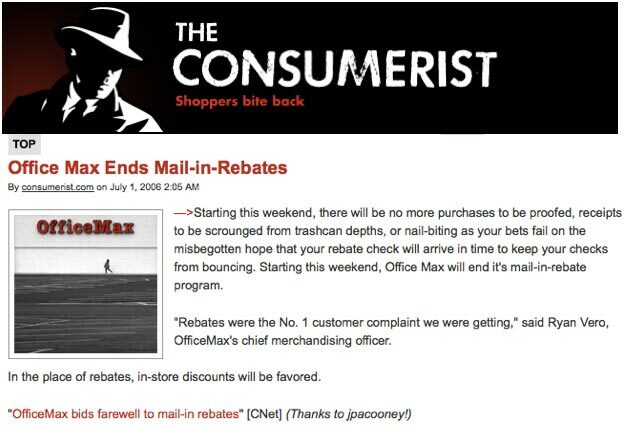 Maccabee Group launched an "End of Rebates" campaign for OfficeMax, positioning their elimination of rebates as a response to consumer frustration that was designed to improve the in-store experience. The results - an astonishing 70 million positive media impressions for OfficeMax. 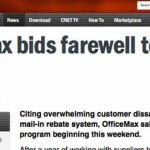 One blogger on C/Net News concluded: "To hell with Staples and Hooray for OfficeMax!" 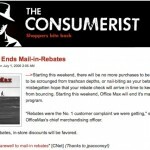 Do away with consumer rebates? 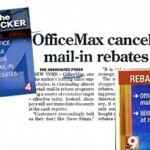 That’s why OfficeMax called upon Maccabee: to communicate the unexpected nationwide announcement that the retail chain was eliminating mail-in rebates. The challenge: Explain why ending rebates was a positive step for customers who had become accustomed to “sale prices with rebates,” even if most failed to redeem the rebate.